“And, insomuch as we know that, by His divine law, nations like individuals are subjected to punishments and chastisements in this world, may we not justly fear that the awful calamity of civil war, which now desolates the land, may be but a punishment, inflicted upon us, for our presumptuous sins, to the needful end of our national reformation as a whole People? We have been the recipients of the choicest bounties of Heaven. We have been preserved, these many years, in peace and prosperity. We have grown in numbers, wealth and power, as no other nation has ever grown. But we have forgotten God. 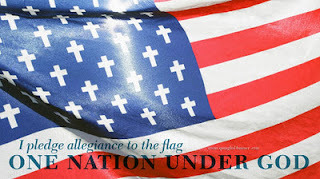 Are Christians or is America much different today? Our nation is suffering because the Church has grown lukewarm. What can be done about the state of America’s heart? First, we need to repent of sin or apathy and recommit our lives to the Lord Jesus Christ. Next, each of us must seek the things of God and decide how we will live our lives, whether we will seek the approval of God or man. Who are we serving right now, today? The choice is ours.